Your Pedigree Chart is a snapshot of your ancestors. It shows your “family tree” at-a-glance — letting you see all your direct-line ancestors in one place. 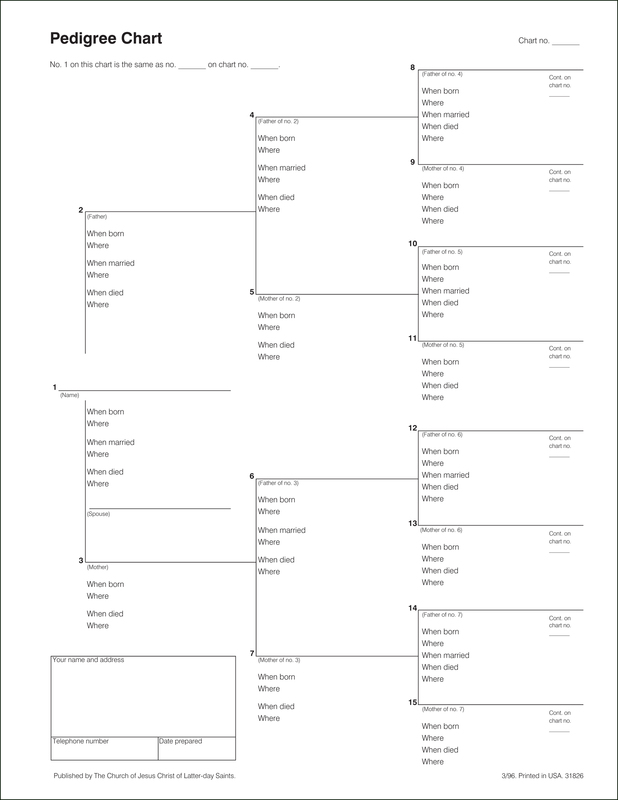 Download a blank Pedigree Chart. For details on how it’s used, please visit this Pedigree Chart page.